I have just finished managing the implementation of a new financial system at work... PeopleSoft. 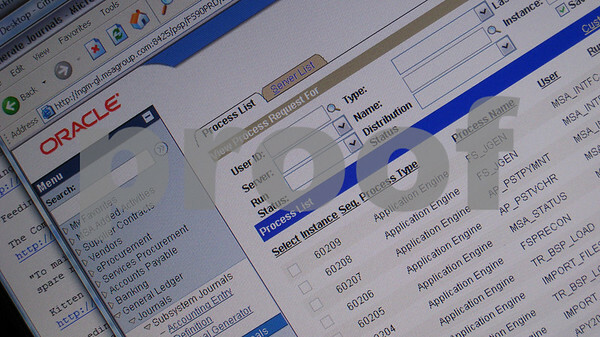 We haven't been able to automate nightly processing due to some severe limitations with the product. Needless to say, I have been running nightly processing by hand, which means getting up before the sun and clicking many, many buttons. Larry Ellison - I Curse Your Name!!! This is my favorite and you know why!! Hahaha... sounds like what my fiancé does on a regular basis. Are you a DBA?